My mother told me she’d planned a surprise weekend trip for my husband and I, so we blocked our work schedules out in advance and eagerly awaited our next instructions/clue as to what we’d be doing. My weekend began, I dressed in my favorite jeans and sweater, and Nick and I piled into an Uber to our favorite Ramen place in Bed-Stuy (Nana Ramen). “Instructions will be taped to your front door by the time you get home from dinner” I was assured by my mother. We entered the restaurant, and Nick had his phone in my face. Annoyed and hungry, I asked what on earth he was doing. “Turn around” he’d said. I turned to find my mom and sister sitting there at a table. I can’t describe exactly what happened next because I blacked out with happiness. Tears, hugs, pure joy. It was all exactly what my homesick heart needed. Thus began one of the greatest weekends of my new New York life. We ate our Ramen, cried some more, and took a cab to Butter&Scotch where we stuffed our faces with hot fudge sundaes and boozy shakes. Definitely check this place out if you ever find yourself in Brooklyn, owned by women, made obvious by the clever and delicious feminist-themed menu, stylish artwork, gleaming neon, and retro memorabilia. Little Skips : I recommend the “Bomb Latte” (made with sweetened condensed milk, YUM) and literally any breakfast item. It’s a lovely, clean reprieve in a more garbage covered area of Bushwick. Pates Et Traditions: a crêpery-brunch spot in Williamsburg that feels like a small, delicious village in the south of France. I recommend the Croque Madam, Bananas Foster crêpes, and the Nutella Mocha. Also, they play french pop music and our waiter had an accent thick enough we could have drizzled it on our crepes. Wicked Willy’s: an NYU watering hole with cheap drinks, and fun trivia nights. This is where we slayed Friends Trivia. A humbling experience, as we met many other teams who loved the show as much as we did. Also, I know it’s cliche, but if you can manage to get in, go to Serendipity. People usually book a table months in advance, but I called same-day and because of a cancellation, we got in. Order any kind of Sundae. And then walk at least 10 miles to burn it off (easier than you think in this city). Seeing my family was one of the most wonderful things to happen to me since I got here. Saying goodbye to them again was excruciating, why can’t everyone I love just up and move here to be with me? Oh, right. Most of them think I am insane for living here. I kind of am. The past month has been full of goodbyes. Some were expected, others were not. Each brought its own element of pain into my heart. As I tightly hugged my mom and sister goodbye before they went back to their cute little Airbnb apartment, I realized you can have little pieces of “home” scattered everywhere. They can find you when you least expect it and renew your strength all over again. You’ll find that you can walk around with a broken heart and a lump in your throat, and still appreciate how gorgeous the city lights are, how good a warm breeze in the winter feels. You can ache for a familiar place but never want to leave the disarray that has gripped you because it’s become a part of you. It’s chaotic and awful…but it’s balanced. Having that balance of darkness and light is what will get us through the next hurdle, to the next day. We got to check a few items off our New York to-do list recently. First, The Met. The beautiful, indescribable Metropolitan Museum of Art. Nick and I had an afternoon off, it was rainy and cold and we were both exhausted from the week, but we forced ourselves to schlep to the city to see the Michelangelo exhibit, as it was the last day it would be there. The Met is a common bucket list item for most people, but may I suggest you DO NOT go on the weekend. It was so crowded with people, we could barely even see the exhibit through all the coughing heads and screaming children. Not my preferred way of viewing historical art, but amazing nonetheless. After essentially crowd-surfing through Michelangelo, we snuck off to a more quiet exhibit, Van Gogh. Monet. Henri Fantin-Latour. De Meyer. You spend your childhood reading about these artists in school, seeing their paintings in books and PBS videos, but to see them in person….nearly takes your breath away. 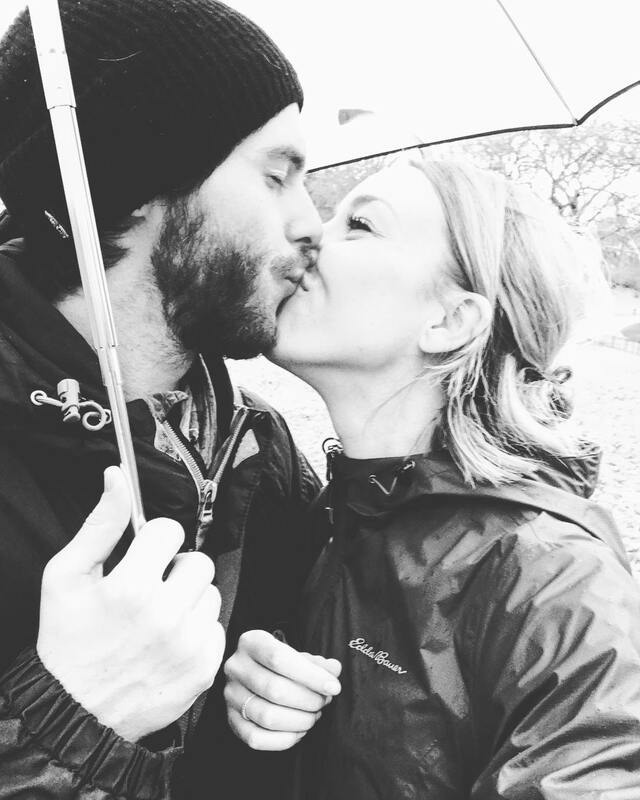 After we felt thoroughly cultured/fed up with all the people, we strolled through rainy Central Park. 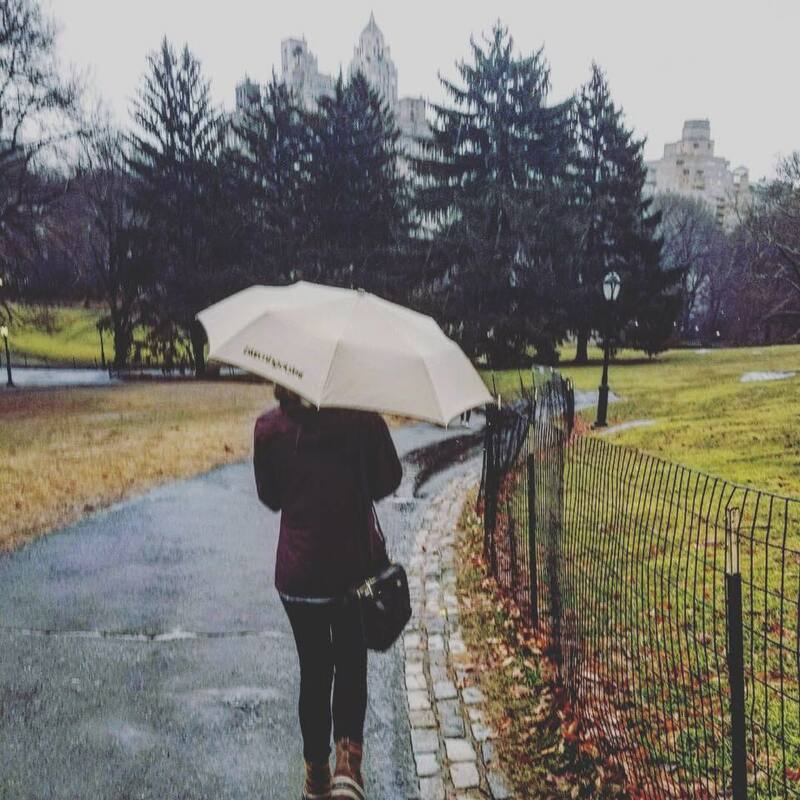 There is something about Central Park in the rain. It’s quiet, not many people, and it smells like how things should smell after it’s rained. You don’t get that a few blocks over in the streets. My oh my the difference some greenery makes. The next experience we got to cross off our list…Carnegie Hall. We saw “Perpetual Light: Requiems of Mozart and Duruflé”. We bought our tickets a month in advance through Gold Star, they were maybe $30/each. We picked our tickets up at will call, and were placed in $100 seats, first tier balcony. This is a perfect example of the city that takes so much from you, giving a little back. We walk up the plush carpeted stairs to a doorway that read, 27, in gold letters. Through the doors were our deep red, velvet seats with a perfect view of the most magnificent stage I’ve ever seen. I treasure any moment I feel like Julia Roberts, but especially the Julia Roberts from Pretty Woman where she goes to the opera. It was absolutely incredible. The audience was respectful and quiet, you could hear and feel every single note by each instrument, enveloping you like a hot bath on a cold day. There were times that a song would end, and I would suddenly start breathing again, not even realizing I’d been holding my breath the entire time. Previous PostPrevious The one with all the glitter and snow.